In some areas, adult and baby snapping turtles are hunted to near-extinction, so there is some debate as to whether snapping turtles should be kept as pets. 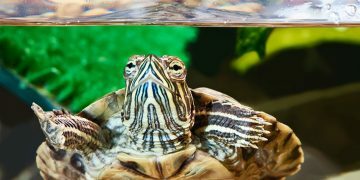 Even without the environmental factor, it’s still questionable whether a snapping turtle is the best choice for a pet turtle. Snapping turtles can be kept as pets if you’re willing to put in the time and effort to care for them. But they do require work and can be tricky to care for, especially as they age. Snapping turtles can be found in southeastern Canada, the western United States, Mexico and even as far south as Ecuador. They live in freshwater areas, including marshes, rivers and lakes, and prefer soft mud with plenty of underwater plants. Size: Snapping turtles are one of the bigger breeds of pet turtles, measuring up to 20 inches in length. Markings: Snapping turtle markings vary depending on the breed. Common snapping turtles are olive to dark brown in color and have no distinctive markings. The Alligator snapping turtle can be distinguished from the common snapping turtle by its three rows of spikes and raised plates on its outer shell. It is also a bit larger than the common snapping turtle, but is otherwise very similar in appearance. 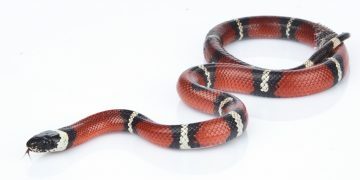 Because milk snakes are laid-back and unlikely to bite, they make for the perfect breed for first-time snake owners. Read on to find out more! Snapping turtles are typically a laid-back breed, but captivity can bring out the worst in them. 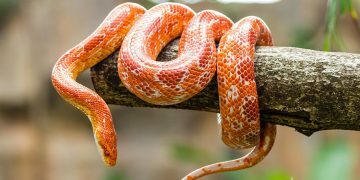 When left alone in the water, they are usually docile, but they may turn to hissing and biting when they are disturbed. This behavior is particularly common in adult turtles. Feeding: Snapping turtles are omnivorous, which means they eat meat such as earthworms and insects as well as plants. They should be fed at minimum once a week, and any remaining food should be removed after a half hour in the tank. Housing: Because they are so large, snapping turtles are best kept in a small child’s pool. Gravel can be used to line the pool, and rocks or a turtle ramp should be included to provide an area for basking. The water should be kept at a temperature of 75 to 86 degrees Fahrenheit during the day and can drop by 10 degrees at night. Be sure to change at least half the water twice a week to keep the pool clean and prevent contamination. A full-spectrum reptile light is also necessary. Health Concerns: Common health issues for snapping turtles include lethargy, vomiting and decreased appetite. These are usually signs of improper diet or an unclean habitat. Life Expectancy: Snapping turtles live 30 to 40 years, on average. Baby snapping turtles and even snapping turtle eggs are collected from the wild to supply pet stores, leading to a population crisis. If you choose to buy a snapping turtle for a pet, be sure it is one that has been bred in captivity. Baby snapping turtles typically start at about $75, and prices can run up to $150 or higher for adults.